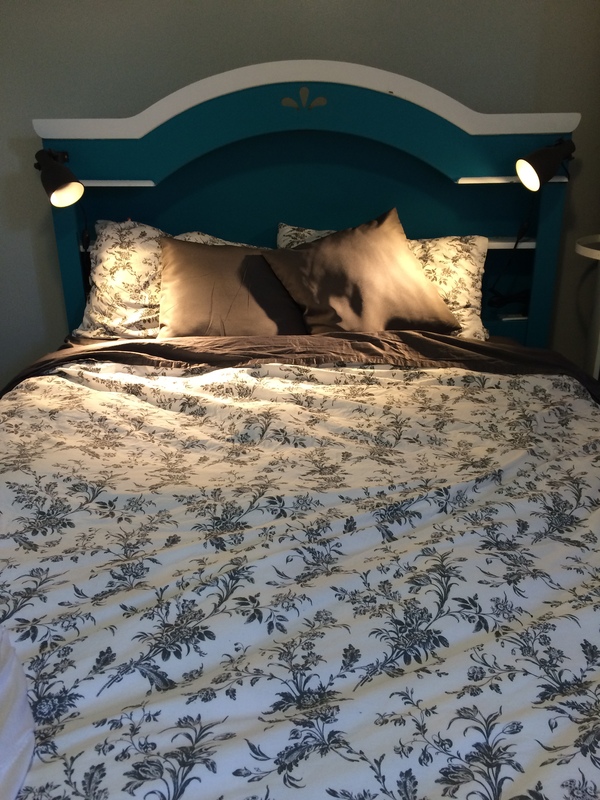 DIY (DIL) Headboard – Guest Post – The Small Things. Today’s guest post is brought to you by the infamous Lucas. 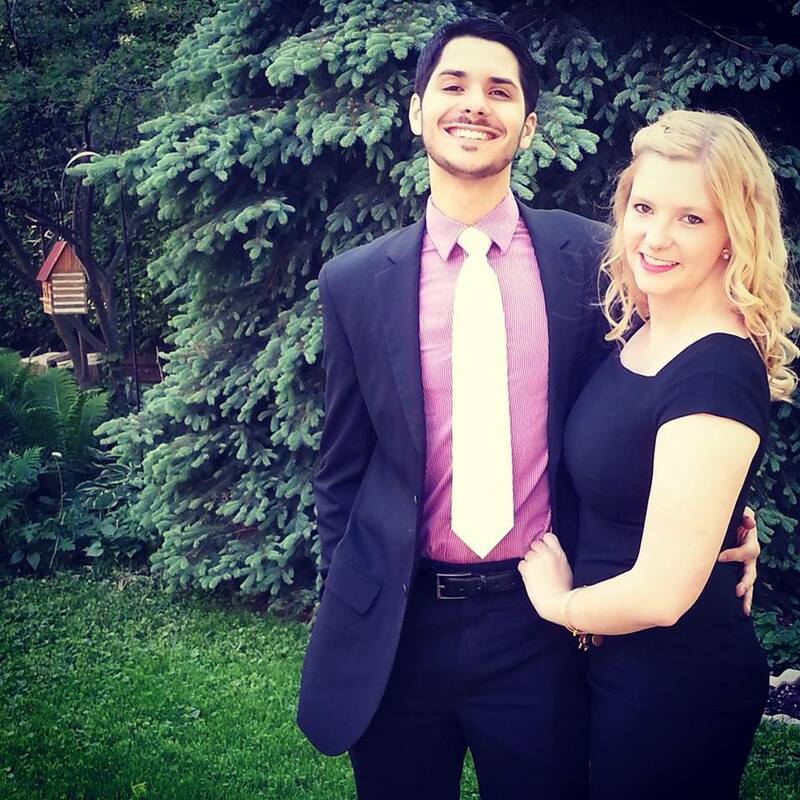 My boyfriend, if you read regularly you will know that I talk about him a lot because I love him and we do lots of fun things together. 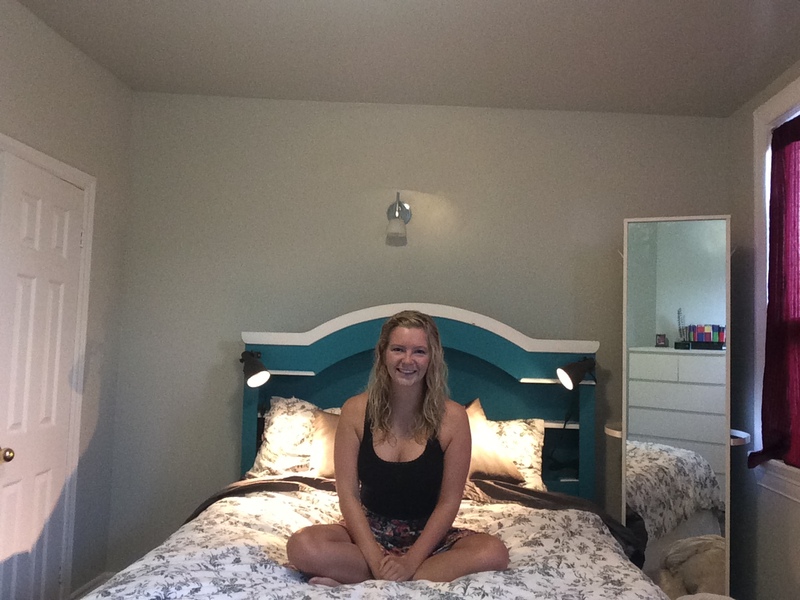 He recently built me the most wonderful headboard for my new grown up apartment. More on that in another post (I am so behind on the life updates). Anyway, we thought it would be fun if he shared a guest post about how he created this DIY or rather DIL (Do It Lucas) headboard. Take it away darling! So Alex likes to come up with projects that she wants to work on together but the majority of the time I end up doing the whole thing. Now this isn’t because she can’t, it’s because I am extremely particular in the way things are done and a complete perfectionist when it comes to, well, everything. There are few people who I allow in my kitchen or workshop. So this project started out with us working together, and it finished with my good friend Taylor and I putting the finishing touches on the revitalization. 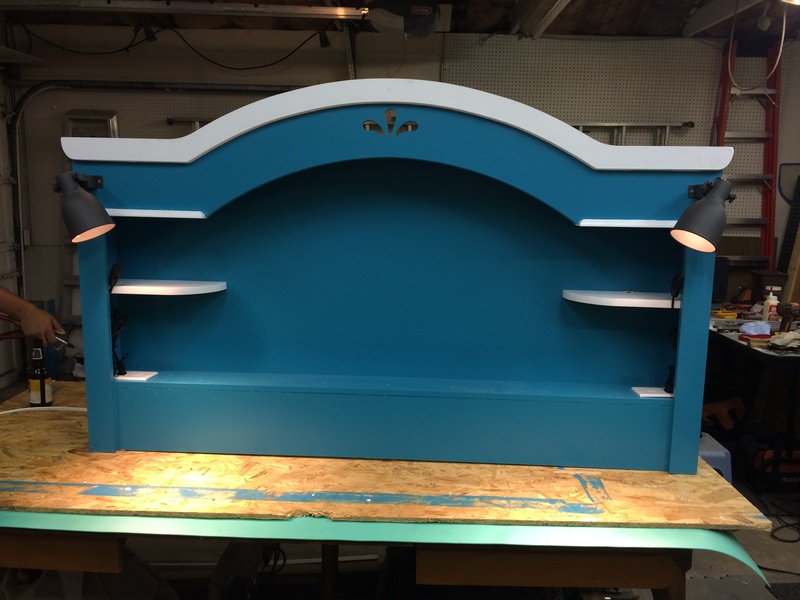 Alex had first envisioned an old wooden door repainted, partially stained to age it and rigged up to attach to her bed frame…. I was not a fan. But I sucked it up and went searching for this mystical door on my lunch hour only to find nothing that would work. 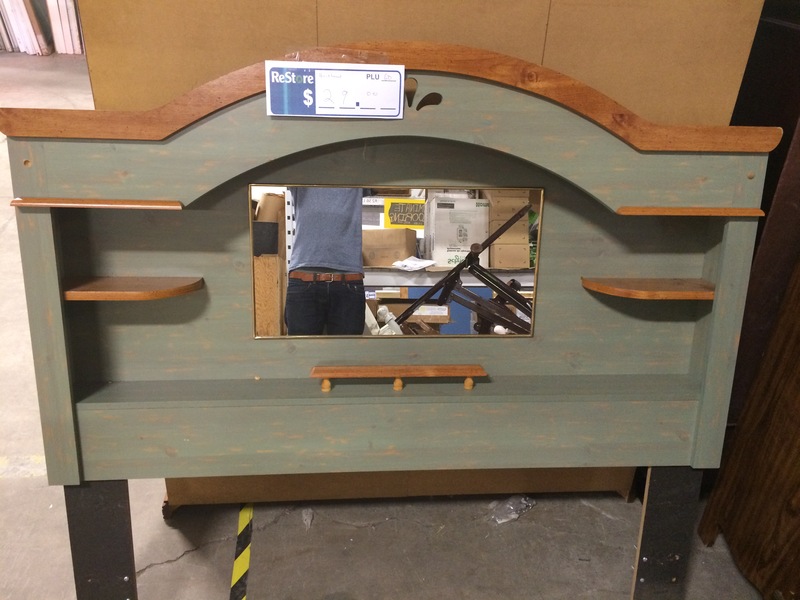 However while searching for a door I happened to stumble upon this ratty headboard for $30. Alex liked the bones and I knew that we (I) could make it in to something she would love. We (Alex) started out by sanding off the nicotine and smell of smoke, roughing up the paint so we could get the process underway. I proceeded to remove the mirror from the Masonite backing. I ended up shattering the mirror so off to home depot we went for supplies. And of course a narrow crown stapler, 5/8” staples, assorted screws, Killz primer, paint brush, rollers etc. all of which we had on hand. Next stop was Ikea for the reading lights that would be mounted to the headboard. Once we had all of our supplied I was able to cut the holes for the new receptacles using an oscillating tool and a plunge cut blade. We (actually both of us this time) primed the entire headboard to mask the remaining smell of smoke and so the paint would stick. Once that dried it was time to enter paintland (paintland is this horrible place filled with paint rollers, brushes, tape, impossible corners that need to be cut in and of course, PAINT. I actually despise painting anything and everything). This is where the project turned in to a Do It Lucas activity, again, not because Alex can’t paint but because I don’t like the way that she does it (I’m a little bit crazy if you haven’t already figured that out yet). I meticulously applied 2 coats of the tealest, teal paint you will ever see. Then cut the trim and shelves in white. Next was the electrical. This is against code and should be done by a professional but it really is simple to safely wire up 2 receptacles and a plug. Safe to say Alex was not involved in this process, safety first! Next we screwed the lovely Ikea reading lamps to the headboard, stapled the power cord to keep it clean and plugged in to the receptacles. Voila! It was done, only took 3 evenings after work, intertwined with another very large art installation that Taylor and I have been working on. And if I’m being honest, most of that time was spent waiting for paint to dry and drinking beer. 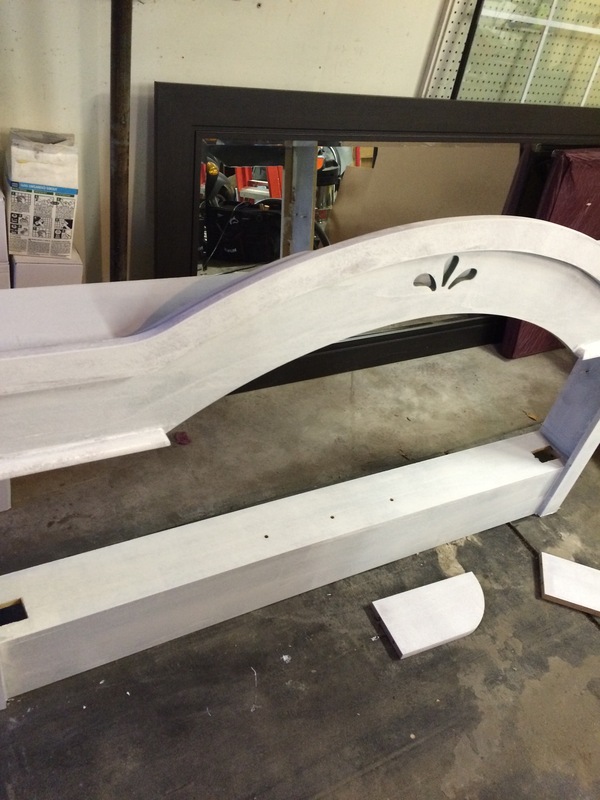 End result, Alex has a beautiful one of a kind headboard that you will never see in anyone else’s bedroom. She’s happy and therefore I am happy.